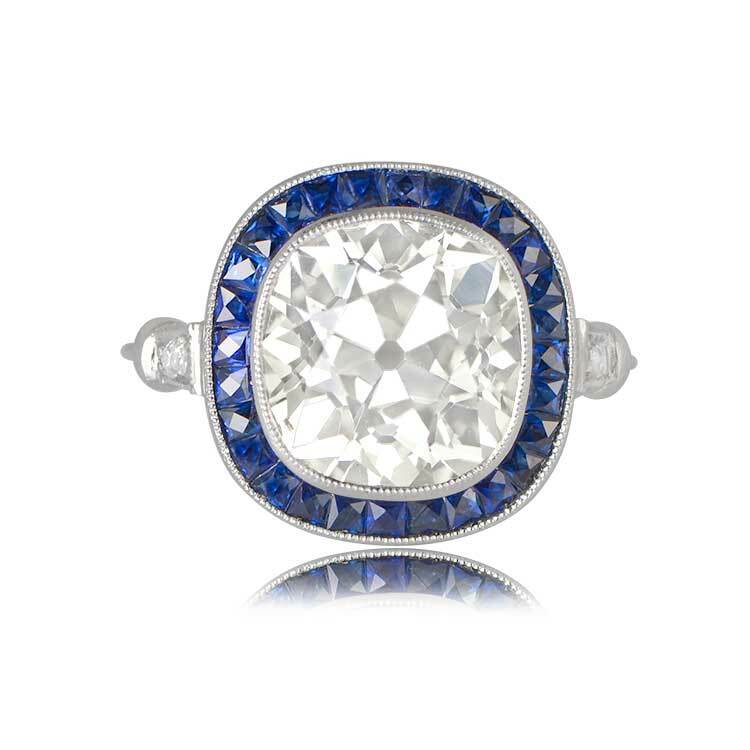 A stunning Diamond and Sapphire Vintage Engagement Ring with a lively 4.49 carat antique cushion cut diamond in the center surrounded by a row of natural calibre cut Ceylon sapphires. 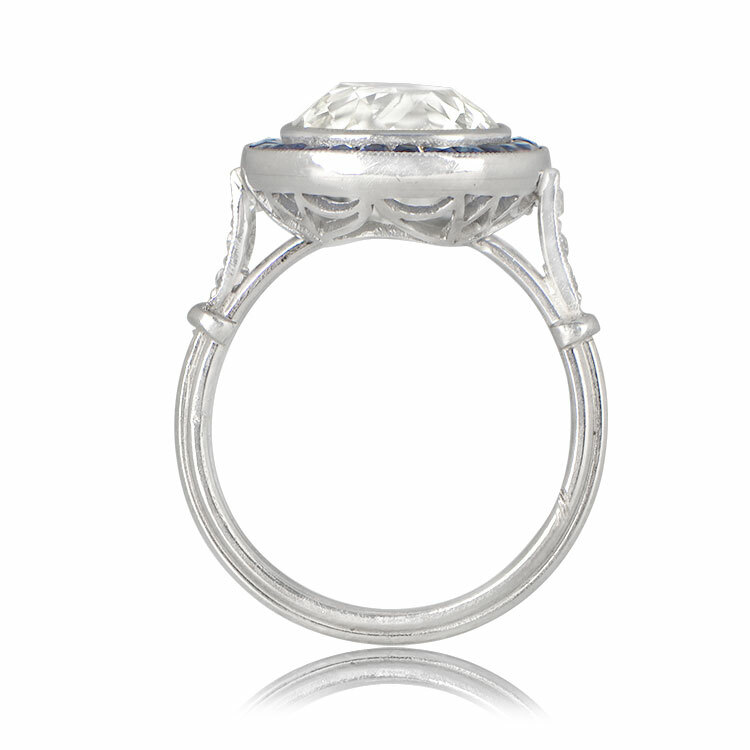 This ring is platinum and has a triple wire shank. The center antique diamond is M color and VS2 clarity. 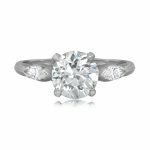 The ring is also accented with three smaller round diamonds on the shank. 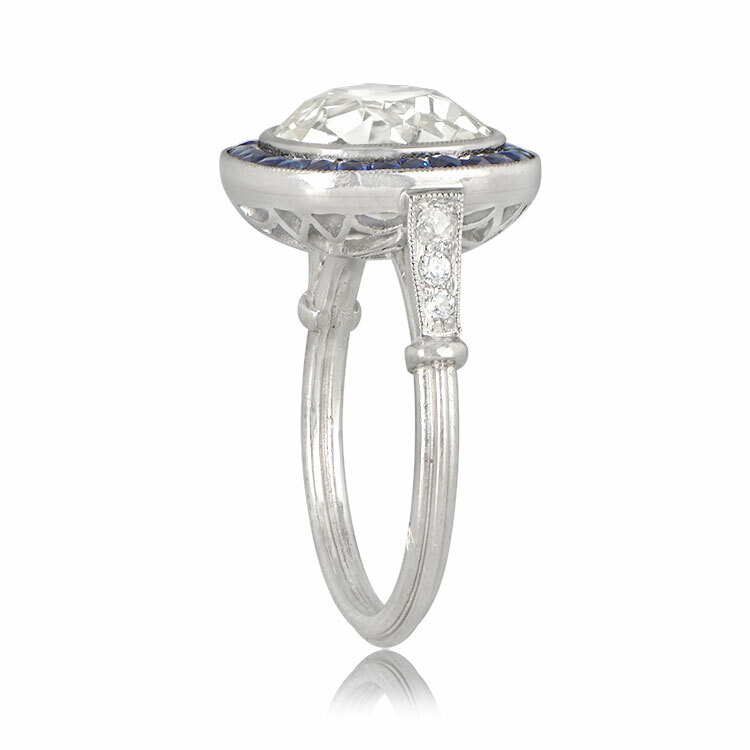 The measurements of this ring with the sapphire halo is 14.40mm x 14.10mm. The profile of this ring is as low as the depth of the diamond. 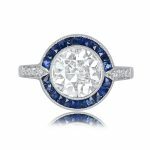 SKU: 12195 Categories: Cushion Cut Engagement Rings, Diamond and Sapphire Engagement Rings, Vintage Engagement Rings - Contact us and request additional pictures.